Chhattisgarh Chief Minister Raman Singh today said Surguja district has been made naxal-free and the same will be done in Bastar division, which has witnessed surrender by scores of Maoists in the last few months. Surguja district, once affected by Maoist activities, is now free of the Naxal menace. Efforts are now on to achieve the same in the Bastar division, where Naxalites are surrendering in large numbers, he said. Singh was talking to reporters after visiting the famous Shri Saibaba Temple here in Western Maharashtra. The Chief Minister said he prayed for progress and return of peace in Chhattisgarh. The Bastar division, which comprises seven districts, has seen surrender by scores of rebels in the recent past. 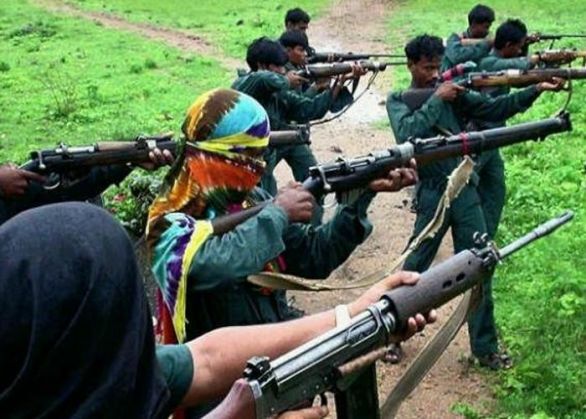 The latest was on December 29, when 23 Naxals surrendered themselves in front of officials in Bastar district. About a fortnight ago, 70 Naxals had surrendered in Chintalnar area of Sukma district, which is part of the Bastar division. The financial package announced by Prime Minister Narendra Modi during his visit to Dantewada in May last year, is being used for development of the region, the CM said. Singh noted that Chhattisgarh has 45 per cent of its land under forests and hence the government is mulling starting "jungle tourism". Meanwhile, Madhya Pradesh Chief Minister Shivraj Singh Chouhan also visited the shrine along with his family members and took blessings of Saibaba.